GETTING MARRIED THIS SUMMER ...or invited to a wedding? Revive your skin with our unique combination of rejuvenating LASER therapies combined with advanced professional skin care products. 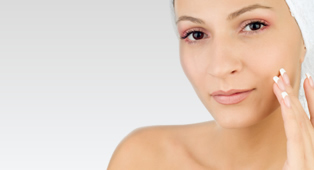 Spring is a great time to have a skin rejuvenation treatment. This LASER treatment will help to even out your skin, tone, reduce pore size and will make your skin look and feel years younger. The IPL skin rejuvenation works wonders on hyper- pigmentation, as well as fine lines and wrinkles. Following the LASER treatment we will create a customised professional skincare blend to create a flawless look. The Vitamin C facial is absolutely essential for any and every woman who wants to add just a dash more fabulousness to her look this year. This revolutionary 4 layer treatment will change the image of your skin in just one application. 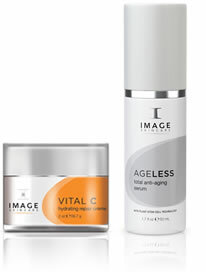 Vitamin C and gentle, but highly active, enzymes promote cellular turnover, brighten, tighten and lighten your skin. The combination of 30% Vitamin C, antioxidants and peptides quenches your skin, diminishes the appearance of fine lines, and restores vitality and texture. This treatment is ideal for environmentally damaged, dry, dehydrated, dull and oily skin. With summer nearly here now is the perfect time to start your course of laser hair removal in preparation for those warmer months to come. Our advanced Harmony XL's SHR with brand new technology allows painless hair removal on all skin types so you can be beach ready when summer sets in!